As the Director of CEA Granada, Begoña is responsible for the successful day-to-day management of the Granada program, including on-site student services, host institution and local vendor relations, program academics, participant health and safety, and student evaluations. She also identifies and implements opportunities for program improvements, makes development recommendations, and designs faculty-led and custom programs. She provides leadership to her team, as they support her in creating a superior student experience. Begoña pioneered CEA's internship program in Granada, as well as the Arabic Cultural Studies program at our partner institution in Granada. Begoña holds a Bachelor’s Degree in Translation and Interpreting and a Postgraduate Certificate in Education from the University of Granada. She has completed an online Specialization in Foundations of Management at the IESE Business School. Begoña is also a certified coach with the International School of Coaching, and a sworn translator authorized by the Spanish Ministry of Foreign Affairs. Begoña worked as a teacher and congress coordinator before joining CEA in 1999. Begoña first studied abroad in high school, when she spent an academic year at Wisconsin’s Shorewood High School. As an undergraduate student, she was awarded scholarships to study at Dublin City University (Ireland), the University of California San Diego (U.S.), and Palacky University of Olomouc (Czechia). Begoña is passionate about international education. She works enthusiastically to provide meaningful study abroad programs that allow students to experience authentic growth and prepare them to tackle real-world challenges by developing solutions. As Student Life Advisor, Jorge serves as the primary contact for students in Granada. He coordinates the student registration process and monitors students’ academic progress, helping them achieve higher language attainment through courses and internship placements. Jorge also executes students´ arrival and excursions, and addresses student questions or concerns. 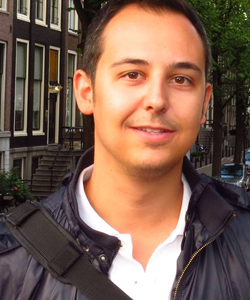 Before joining CEA, Jorge worked as an administrator, quality manager, and study abroad program coordinator at the Universidad de Granada for 3.5 years. He was appointed as a French-Spanish sworn translator by the Foreign Affairs Ministry, worked as a freelance sworn translator and interpreter for some translation agencies in Andalucía, and volunteered for the Immigrants Bureau at the Red Cross in Granada. Jorge holds a bachelor’s degree in Translation and Interpreting and Immigration Laws from the University of Granada and a master’s degree in Foreign Trade and Quality Management from the Universidad Autónoma de Barcelona. 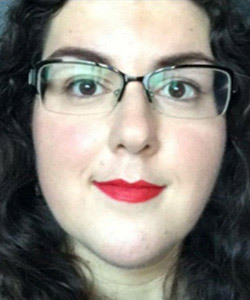 As Student Life Advisor, Cristina will provide support in the planning and coordination of housing, activities, and trips, including the coordination of volunteering and internship placements. She will also act as a liaison regarding other aspects of student services onsite. Cristina will use her experience and her love for meeting people from different cultures & travelling to provide students the most supportive, enriching & successful time in Granada. She studied abroad at Wilhelms-Wesfälische University in Münster, Germany. After graduation, Cristina worked in Germany for two years as a Spanish language assistant at Gymnasium am Krebsberg and Gymnasium am Steinwald, then taught Spanish in Poland for a year. She has also worked as a translator of scientific articles for peer-reviewed journals. 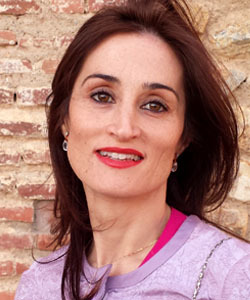 Cristina is from Valencia, and she holds a Degree in Translation & Interpreting from the University of Granada. She describes herself as a language enthusiast. In her free time, she loves reading, traveling, and learning languages. Ana is from Granada, and she holds a Bachelor’s Degree in Translation & Interpreting and a Master's Degree in Events Management from the University of Granada. She studied abroad in Rouen, France, and later she worked for a year as Spanish language assistant in Perpignan. 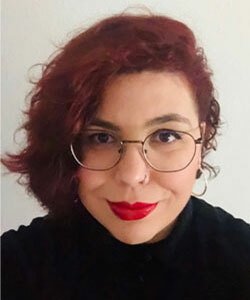 Ana has also worked as an international patient welfare officer at different hospitals in Granada, and she has a lot of experience organizing national and international events, such as conferences and music festivals. Passionate about culture and possessing excellent communication skills, Ana will do her best to provide students with the most supportive, enriching, and successful time in Granada. As Student Life Advisor, Ana will assist with the planning and execution of CPs in all aspects related to student services onsite.